It can be easy to gather clothes; one sale item here and there, a few pre-holiday purchases, and suddenly your wardrobe is overflowing. But when was the last time you wore that patterned shirt shoved at the back of the wardrobe, and when did you even buy those shoes? We’re here to break down why everyone needs more versatile pieces in your wardrobe, and show you why quality over quantity wins every time. A versatile wardrobe means a lot of different looks with minimum effort. If you buy pieces that are good quality, free from gaudy patterns, and timeless, you’ll find that dressing in the morning becomes that little bit quicker. Having a large wardrobe is okay, but so often chock full of out-dated style items; things that were fashionable a few seasons ago, but you haven’t quite gotten around to throwing away yet. It’s better to invest in classic pieces that won’t go out of fashion; a good pair of jeans is hard to find, but are worth their weight in gold. It’s worth shopping around for a pair until you find the perfect fit, and don’t be afraid to fork out an extra few pounds on a really high-quality pair, as it’s likely these will last twice as long, if not longer, than their cheaper alternative. Jeans are perhaps the most versatile of trousers, and can be dressed up or down. The same applies to a pair of chinos; in their traditional khaki colour, they’re hugely versatile, if added to your wardrobe, will become an instant style staple. The same applies to shirts and jumpers. It’s tempting to reach for the shirts already packaged with the tie, but you’ll reap the rewards if you take time finding great button-downs that are high quality. If you find one you like, it’s completely acceptable to buy it in a few colours – if it’s a good fit and looks great on you, why not? The same applies to jumpers – cheaper, lower quality jumpers tend to lose their shape and become worn out after a few washes. Choose a heavier knit, in a neutral colour such as navy, black or dark brown, for a truly versatile addition to your wardrobe. Shoes are an often-overlooked part of our wardrobe, which is crazy when we consider that doctors recommend at least 10,000 steps a day. Glancing at that number, you wouldn’t dream of walking that in uncomfortable shoes, so why do so many of us buy poor-quality, poorly constructed shoes? Well, we’re glad to say that this isn’t the case at Robinson’s. Our brand-new Professional Collection can be worn with absolutely anything, and are truly a lifetime investment. We’ve chosen classic shapes that won’t go out of style, and this paired with quality leather and expert craftsmanship ensure that these shoes are worth every penny. 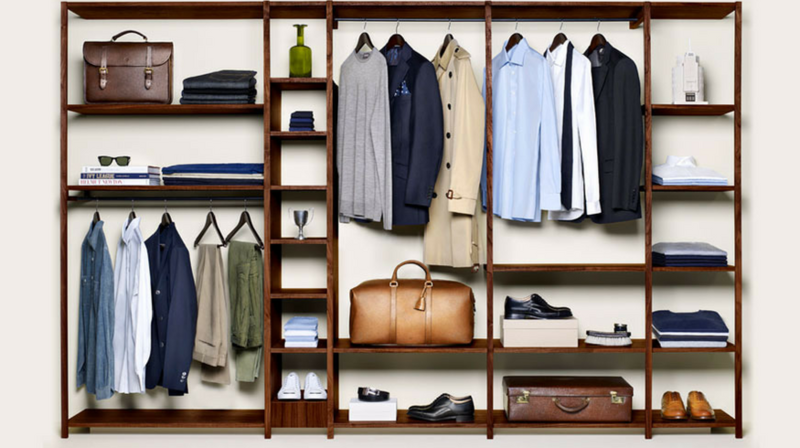 A versatile wardrobe doesn’t mean a boring one – simply one that’s well thought out and chock full of beautiful, high-quality clothes that stand the test of time. At Robinson’s Shoes know all about this – we never compromise on quality and we’re only happy with 100% perfection. So why not introduce this attitude to your wardrobe and start to embrace a more versatile style today?